Being an electrical engineer why do you want to work with Deloitte? State differences between C and Java? Tell me something about your Training Project. Tell us about your training project. Any challenging situation that you have faced and after which you felt a sense of accomplishment? What do you have to offer o deloitte? What is the most difficult situation that you have ever faced in life? 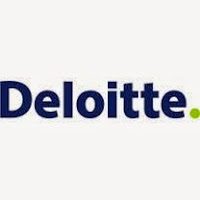 0 on: "Common Deloitte Technical And HR Interview Questions. "